If you’re looking for a capable compact SUV with plenty of off-road prowess, practical efficiency, and a spacious and well-equipped cabin, then the 2018 Jeep Cherokee is a great place to turn. Find it in a variety of different trim levels near Lubbock right now at Stanley CDJR Brownfield, but first get a closer look at what you can expect to find throughout the 2018 Jeep Cherokee trim lineup. Upgrade to the Tech Connect Package gives you advanced connectivity via Amazon Echo Dot, letting you make voice commands from inside your home directly to your Cherokee. 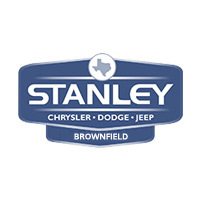 No matter which trim level of this Jeep compact SUV you’re looking for, you’ll find it near Seminole at Stanley CDJR Brownfield, where you can finance the 2018 Jeep Cherokee at an affordable rate. We’re open Monday through Saturday at 1706 Lubbock Rd in Brownfield, TX, and you can reach our staff online or by phone at (806) 686-4600. Come take the new Cherokee for a test drive today!